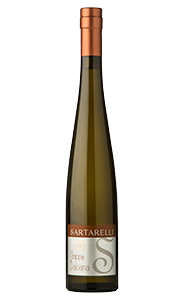 This wine is produced from very carefully selected grapes in our oldest vineyards, where the grapes are usually thinned out to reduce the production to 8-9 tons per hectare. 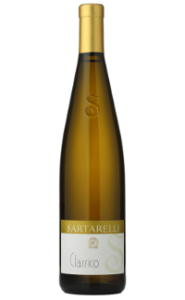 Harvested in small crates, the soft pressing and the temperature control during fermentation mean that the grapes are cared for following the old traditional way. 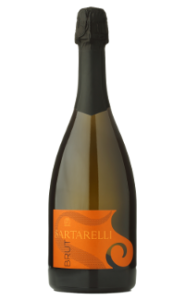 This wine is more influenced, compared to his sibling wines, by the temperature ranges during the harvest time and for this reason it is a wine in continuous evolution. The yearly production of this selection is of about 90.000 bottles. 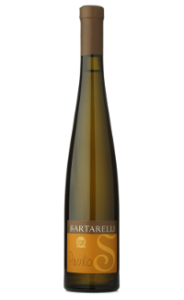 Tralivio is available in (copyrighted) Sartarelli bottles of 750 ml, in borgognotta bottles of 375 ml as well as in borgognotta magnum bottles of 1,5 liter with an elegant gift box. Some tips on how to combine Tralivio with food, but please never forget to follow your own tastes and preferences! Charming with sushi, salmon and raw fish. It matches very well with elaborated fish or white meat dishes, such as brodetto di pesce (typical fish soup of our region), baked or grilled fish, even spicy food, chicken or rabbit “in potacchio” (typical local dish) and lamb fricassee. It is also very good with mushrooms, truffles and medium mature cheeses. Of a lively and bright straw yellow color. 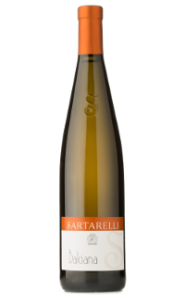 It opens with an elegant and alluring bouquet of aromatic spring herbs for developing then into aromas of acacia, linden, apricot and fresh almond. It also has citrus fruit aromas as well as a mineral scent. In the mouth it is very persistent. 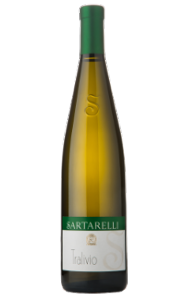 It is well balanced with a rich alcohol zing, acid freshness and sapidity. Characteristically it has a bitter almond finish, which is the typical recurring element of this varietal.